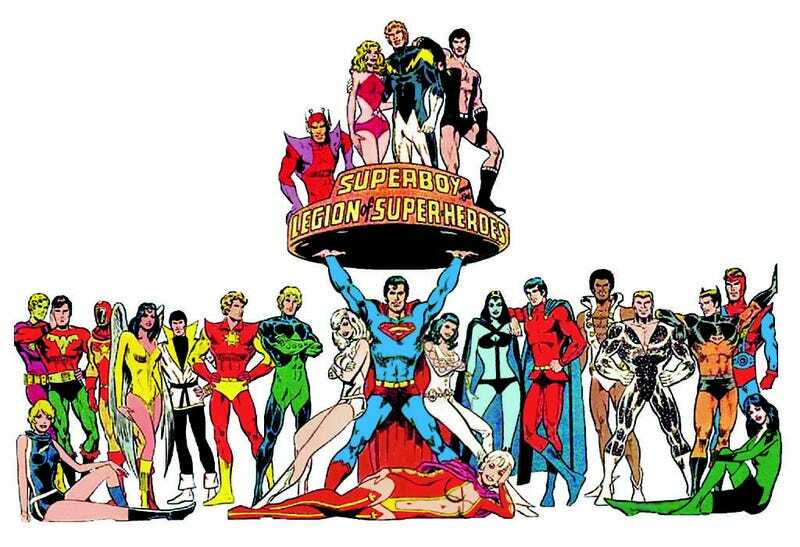 A new rumor posits that Warner Bros. is searching for scriptwriters to take a shot at adapting the 31st century teens of the Legion of Super-Heroes for a movie. Seeing as even DC can't get a Legion of Super-Heroes comic to stick around more than a year or two, I wouldn't get too excited. I mean, I'm sure the success of Marvel's equally esoteric team Guardians of the Galaxy makes Warner Bros. execs hopeful they can replicate its success, but there's a major difference between being "hopeful" and "confident." Seeing as WB still hasn't even officially announced a Wonder Woman movie, I have a hard time imagining these them ever receiving a LoSH treatment they have the balls to actually film.